Get ready to Jingle & Mingle! 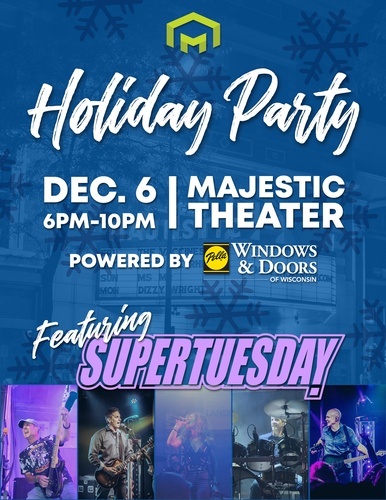 Join us for the Annual Holiday Bash and Officer installation with live music by 80's coverband SuperTuesday. Help us celebrate the season and the success of the Madison Area Builders Association, and install the incoming President and Board of Directors. We will be hosting a winter coat drive for the local Boys & Girls Club. For each new or gently used winter coat or jacket you donate, we will give you 1 FREE drink ticket! Help someone stay warm this Holiday season and enjoy a drink on MABA! Parking is available in the nearby Government East parking ramp.